Each year we have had to do more corrective hair surgeries than before. Increased patient awareness has helped to some extent, but the proliferation of inexperienced practitioners does confuse the prospective patient. Following is an example… if you have questions or suggestions please do not hesitate. 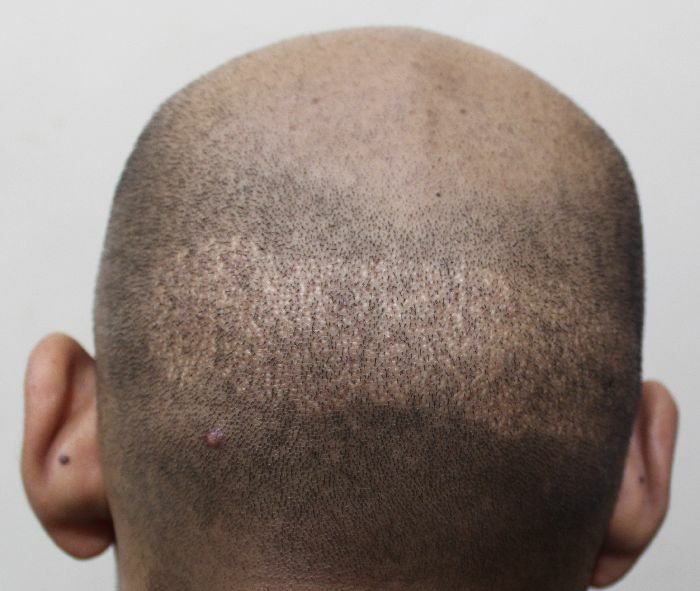 This patient underwent a ?fue hair transplant somewhere else a few years ago and has been thinking of the various corrective options. Pictures displayed were taken immediately before the corrective procedure performed by us. 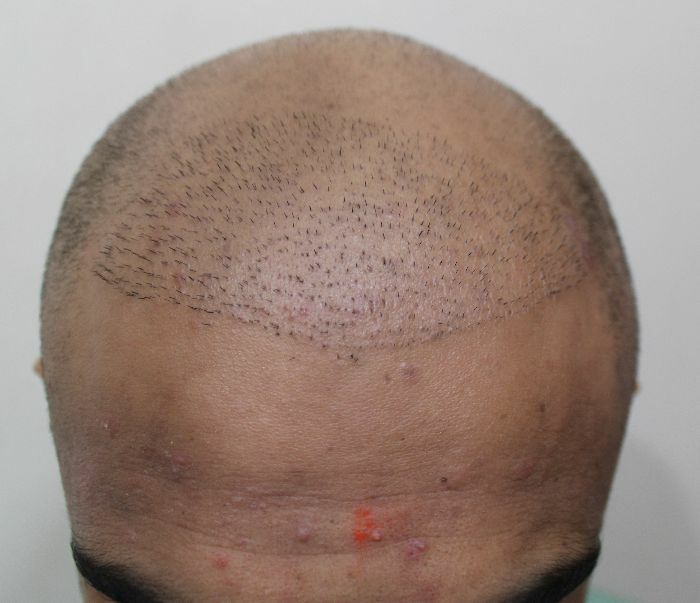 Shaving the entire scalp was not possible due to scars. Well, did you correct this yet?